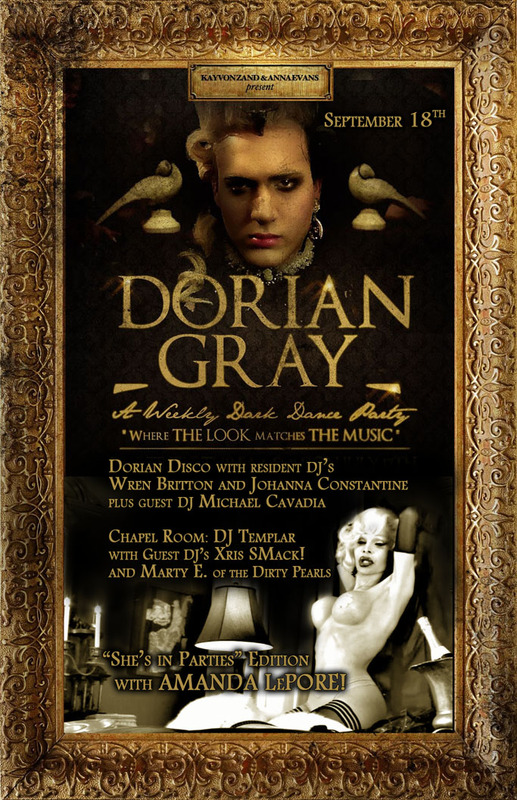 09/18/13 – Kayvon Zand\\\’s DORIAN GRAY: \\\”She\\\’s In Parties\\\” Edition w/AMANDA LEPORE! Kayvon Zand's DORIAN GRAY: "She's In Parties" Edition w/AMANDA LEPORE! "SHE'S IN PARTIES' Edition with AMANDA LEPORE! "SHE'S IN PARTIES EDITION WITH AMANDA LEPORE!" GO GO RIOT!! GIGI ROSE! DORIAN SPOTLIGHT MARTY E. OF THE DIRTY PEARLS! * So many of our friends who love to dress up have been* tired of going to clubs and parties where ppl look great but the music is Top 40 Ibiza like music. So we decided to start a party where we can hear the music we want to *hear! NIGHTLIFE REVOLUTION BEGAN THREE MONTHS AGO WITH A BANG!